When you adopted your child, maybe you had glimpses, or maybe long periods of falling in love with your child. I know that even now..... you love your child, but maybe at this moment you do not like your child. Maybe you are feeling sad, unhappy, irritated, angry, guilty or desperate about how to get back to some semblance of what you know it once felt like in relationship to your child. Maybe you need some respite from your child's disruptive behaviors that are impacting the whole family every day all the time. You do not have to be alone in finding a solution. When a family first arrives in my practice, weeks, months or even years after the adoption, it is usually due to the child’s disruptive behaviors or their difficulties in forming positive relationships with adults or peers. In infants this can take the form of eating, sleeping, digestive and elimination irregularities, or clinging on to or pushing the parent away when needing comfort or soothing. In infants, the therapeutic intervention can often be brief and more easily resolved once the problem has been assessed and identified. In older children, the push/pull behaviors of trying to get their physical and emotional dependency needs met, are similar, but more uniquely convoluted,such as lying, non-compliance to parental guidance, or running away. At times there is the challenging task expected of an adopted child, to develop a healthy attachment at the same time as developing a healthy independence. It is confusing and difficult, but not impossible. Whether I am working with infants, school age children or teens and their parents, my therapeutic approach is collaborative, practical in providing solutions, and direct. I am a therapist and a single parent through adoption. I adopted my daughter in 2001. In 2002, I became certified as an Infant massage Instructor and began teaching classes at UCSF Medical Center and other locations throughout the Bay Area. 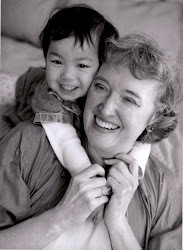 I studied early intervention and assessment at the Child Trauma Institute of San Francisco. I have studied Attachment focused family therapy with Daniel Hughes phd and other therapists, for many years in a consultation group. For 4 years, I was fortunate to gain experience and work with many CPS referred foster/adopt children and their families, at an agency in Alameda County. As a Supervisor there, I trained many therapists in 0-5 years early intervention; trauma resolution; concurrent planning; and attachment focused therapy. I received my Masters in Psychology from the California Institute of Integral Studies in San Francisco and I became licensed as a psychotherapist in 1992. For 10 years I specialized in studying trauma , and became certified in therapeutic approaches that effectively address the physical and emotional symptoms of traumatic stress in adults and children. I began learning about the healing benefits of a therapeutic relationship nearly 30 years ago. At that time I had just emigrated from England to America. It was 1981, I began as a certified Massage and Shiatsu Practitioner and had the good fortune to continue with my Shiatsu training by being an apprentice to my teacher for the following 2 years. In 1983 I started teaching and I have continued ever since - to learn from and to teach others. Considering these 3 turning points in my life, I can honestly say that becoming an adoptive parent has been the most challenging, the most fulfilling and the most forceful in how it has caused me to transform myself both personally and professionally. Now, in my Family therapy practice I focus on helping adopted children find home with their parents, their families and with themselves.